Angle has an built-in automatic update function. In the configuration dialog box you can choose how often you would like Angle to automatically check for updates (see Configuration). 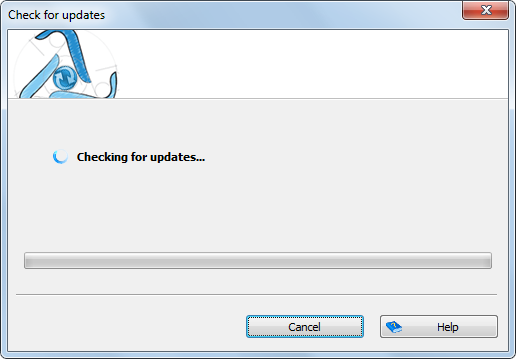 It is also possible to manually check for updates at any time. To do that, click the “Check for updates” button on the “Help” ribbon tab. To be able to check for updates and to download them, the computer must be connected to the internet. The update dialog will contact the update server using your internet connection to check if there are updates available. If a new version of Angle is found, you will be offered the chance to install it. Security software, such as antivirus or firewall may interfere and not allow Angle to update. If so, please contact your system administrator to resolve the issue.